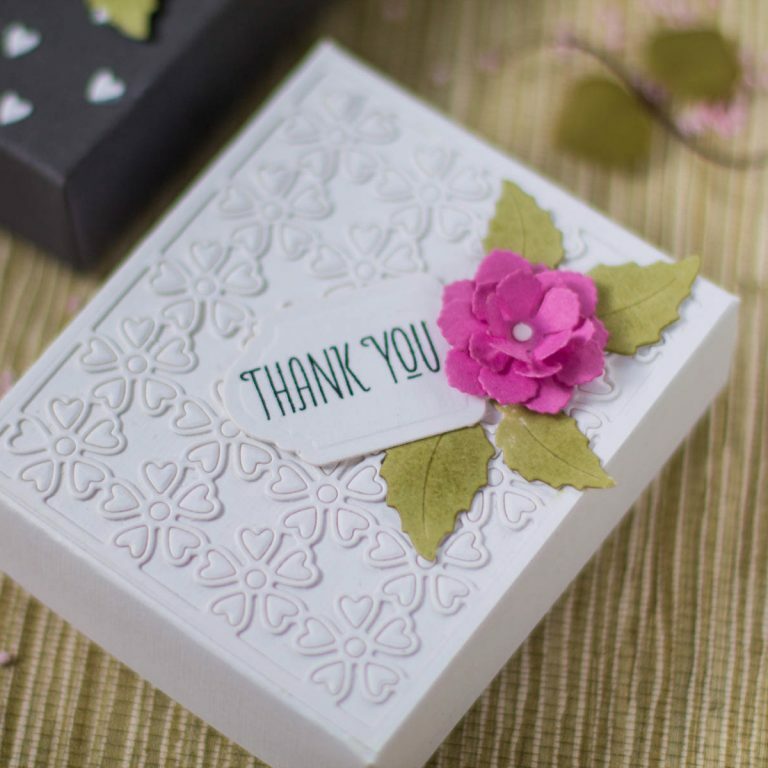 Hi dear Spellbinders friends! 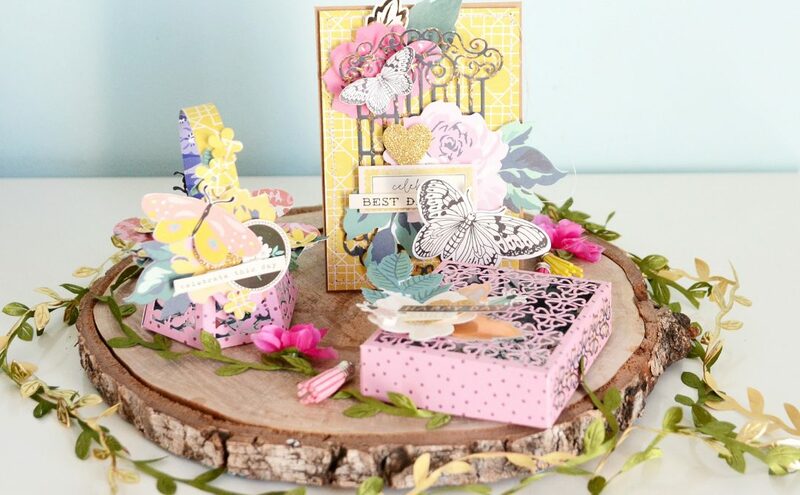 I’m ready to share with you new inspiration using Blooming Garden collection by Marisa Job. 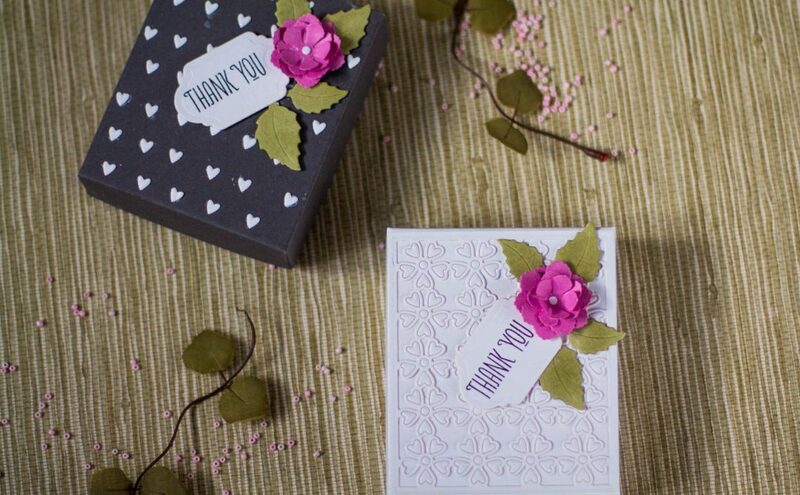 For today’s project I used the Heart Flower Box die and made two small gift boxes. 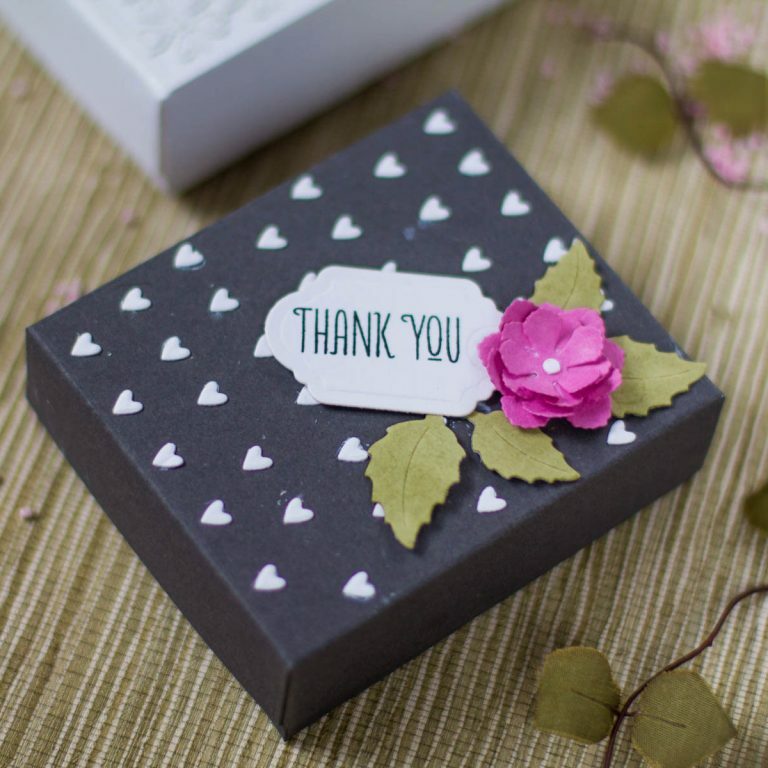 I worked with this set for the first time and was amazed how easy it was to create a box. I just die-cut a pattern two times and assembled two pieces using liquid glue. To create the flowers I used Rose Buds dies and the leaves from the Blooming Roses set. 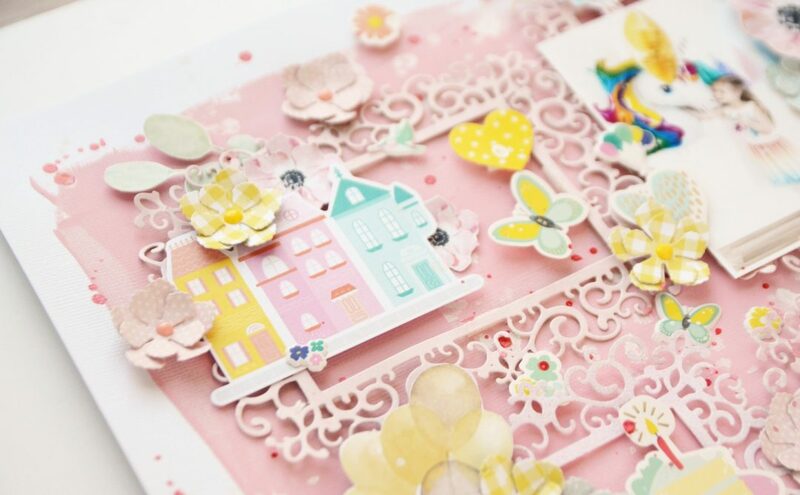 For the background of the white box I used flower die from Heart Flower Box set. 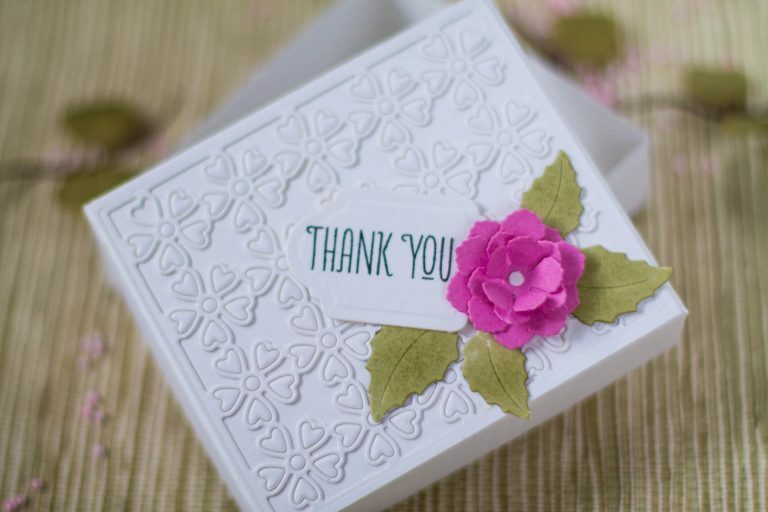 I die-cut floral frame out of white cardstock and adhered it onto the top of my box. 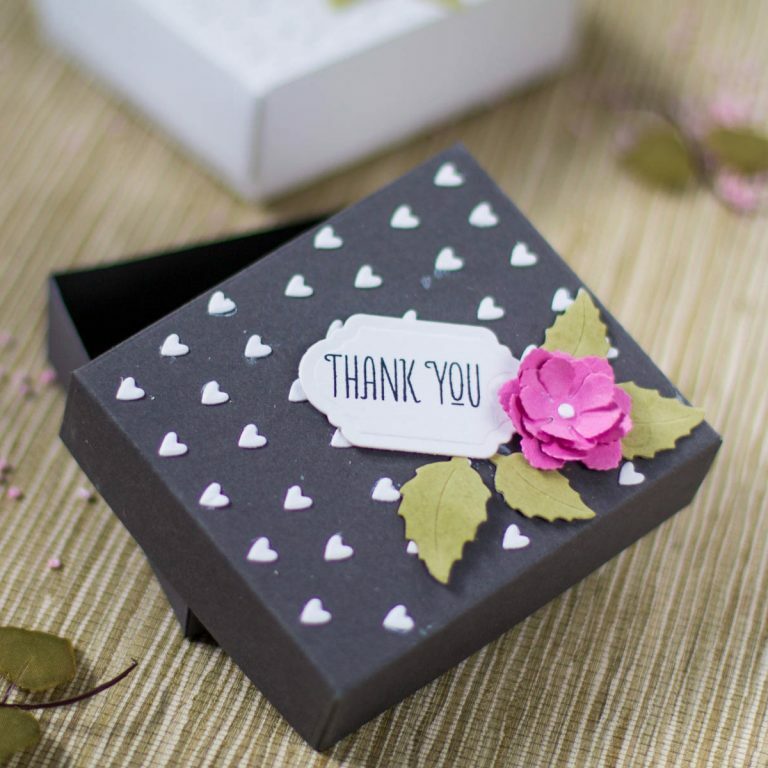 To decorate the grey box, I used tiny white hearts from the petals of the flowers and adhered them onto the top of grey box. 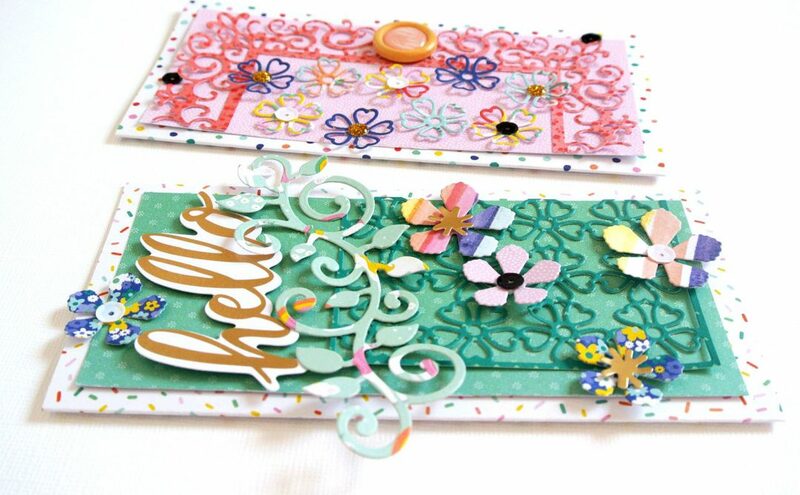 I die-cut tags using a small die from Floral Love Card Kit of the Month. 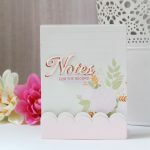 White Cardstock, Grey Cardstock, Pink Cardstock; Hero Arts Indie Black Ink; WPlus9 Fresh Cut Florals Stamp Set; Liquid Glue. Thank you so much for stopping by! Hope to see you here next time. Bye! My name is Elena Salo. I’m 30+ years old, married and have a son. 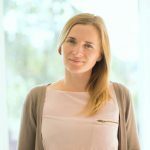 I live in Ukraine and sometimes travel around the world. 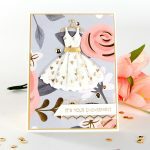 My passion is to create handmade cards (mostly using die cutting technique). And that’s what I’ve been doing for the last 10+ years. I’d like to share some of my handmade projects. 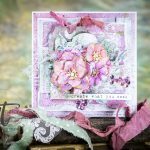 Hope my work will inspire you and bring new ideas to create your own cards.